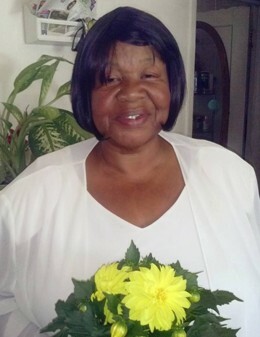 Elizabeth "Lizzy" Simmons- Legree, 71 of St. Helena Island, SC died Wednesday, August 29, 2018, at Beaufort Memorial Hospital. She was the wife of Harry Legree. Visitation will be held from 5-7 pm Thursday, September 6, 2018, at Allen Funeral Home Chapel in Beaufort, SC. Funeral services will be held 11 am Friday, September 7, 2018, at Scottsville Baptist Church on St. Helena Island, SC. Allen Funeral Home of Beaufort in charge.